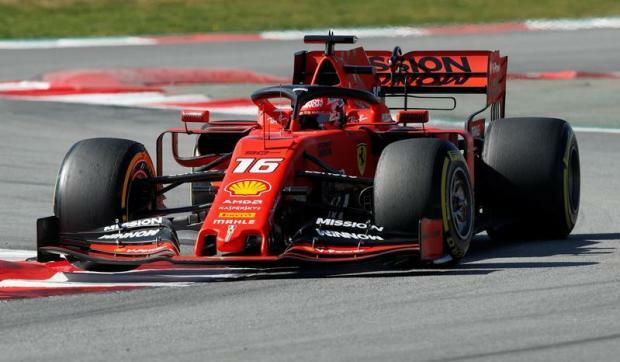 There have been many changes among the team line-ups for the new Formula One season which begins in Melbourne at the weekend. After claiming their fifth consecutive constructors championship in 2018, and with Briton Hamilton winning the driver's title for a fifth time, and second in a row, dominant Mercedes is one of only two teams to retain the same line-up. Finland's Bottas will be hoping to overshadow his illustrious teammate and add to his three Grand Prix wins. Monaco's Charles Leclerc has been parachuted in from Sauber to partner Germany's four-time champion Vettel after a breakthrough rookie season as they work to break the Mercedes stranglehold. Long-time Ferrari linchpin Kimi Raikkonen has gone the other way to rejoin a Sauber team -- now named Alfa Romeo -- where the Finn started his career in 2001. Australian Daniel Ricciardo's shock decision to leave Red Bull after five years for Renault has seen France's Gasly promoted from Toro Rosso, who gave him his first Formula One start in 2017. He joins his old karting rival Verstappen, with Red Bull having high hopes of "Mad Max" winning the title. Seven-time race winner Ricciardo's move to Renault on a two-year deal was the biggest surprise in the paddock and he is hoping engine enhancements will deliver him a car that can close the gap on Mercedes, Ferrari and Red Bull. Dependable and experienced German Hulkenberg begins his third year with the team. The American team have made steady progress since their 2016 debut and, along with Mercedes, are one of two teams to stick with the same line-up. It follows a promising 2018 in which they finished fifth in the constructors' championship. Grosjean and Magnussen are in their third season together. It's all change for the underperforming British team with veteran Fernando Alonso leaving Formula One and Sainz Jr, the son of a double world rally champion, replacing him from Renault. Stoffel Vandoorne was let go, allowing exciting young British talent Lando to take his place for a maiden season aged just 19. Thai-British driver Albon, 22, has won promotion from Formula 2, where he had four wins last year, replacing Brendon Hartley, while Russian comeback kid Kvyat returns for a third spell at Toro Rosso after spending last year as Ferrari's development driver. He takes Pierre Gasly's seat. Determined Pole Kubica has been out of Formula One for eight years and makes an unlikely comeback after suffering multiple injuries in a rallying crash. He is joined by Britain's Formula 2 champion Russell with the pair tasked with reversing the team's recent decline. Williams finished last on the points table in 2018.